The teacher studied 187 sixth graders. She disaggregated the data by ethnic group and gender to look for trends in engagement and academic skill level. 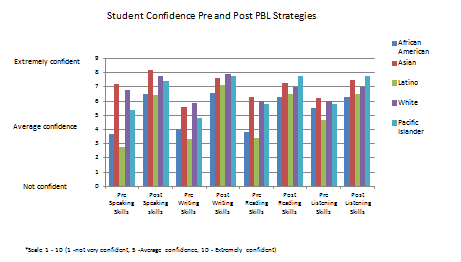 The study looked at student engagement before and after implementing Project Based Learning units of study. A pre-assessment survey was administered to all 6th grade study during the first quarter of 6th grade. The post-assessment survey was administered after completing a PBL study on the topic of energy conservation. Data analysis included comparison of pre and post student responses and teacher observation data. 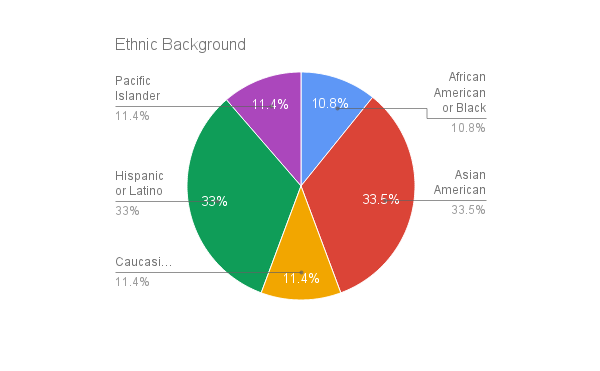 Figure 1-The pie graph above represents the percent of the students surveyed by ethnic group. 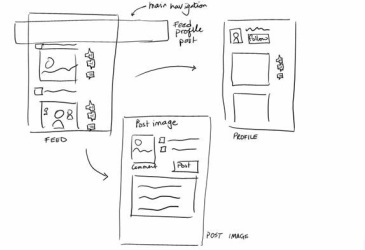 Figure 2- The bar graph above represents the pre and post survey. 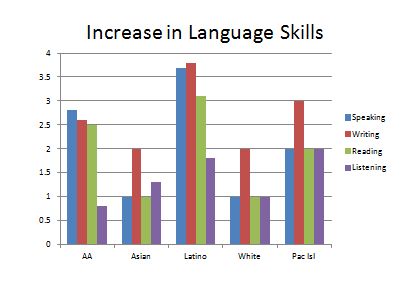 Figure 3-The bar graph above represents the increase in language skills.